Around here, we get real storms. The midwest is known for its heavy rains, strong winds, winters full of snow and even the occasional tornado or ice storm. Severe weather can badly damage the trees and shrubs around your home or yard, or even cause them to topple in the right conditions. Choice Tree Service as the right equipment, resources, and qualified team to handle your Kansas City Storm Damage. 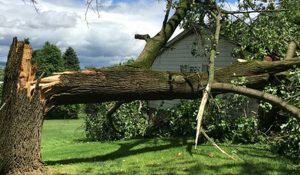 Our professional arborists can remove fallen trees from your yard, home, or driveway as soon as the sky clears. If branches have blown onto your roof, car, or powerlines, we can remove them safely and easily. Choice Tree Services will assess the damage to any electrical wires and advise you whether or not to call your power company. Remember, Powerline Clearance can be tricky and dangerous- it’s best to hire a professional! For the best choice in tree care, just look for our name- Choice Tree Services! When the storms hit, and the trees fall, we will be there! Our expert and local professional tree care team is on call to help with any emergency. Click here to contact us or schedule your Storm Cleanup today! If you don’t see your community listed above, still give us a call and we can more than likely accommodate you and get a team to respond quickly to your storm cleanup or tree removal needs. 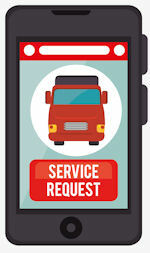 You can also use our Convenient Service Request or Quote Form by Click Here. Choice Tree Service has among THE BEST in Customer Reviews and Testimonials in the region and we invite you to check those out as well. 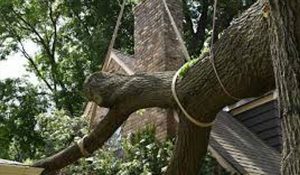 When emergencies occur, count on the tree service company that thousands of property owners in the Kansas City area have come to depend on.